Feel and fit was perfect. Comfort top class and quality of leather and stitching was very good, I expect these to last a long time. 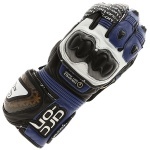 I had my first of Arc-On gloves a couple of years and had forgotton how comfortable they were straight out of the box. If anything, these are even better and an accurate fit to boot. The first pair survived a low speed off with barely a scuff; hopefully I wont have to find out how well I expect these to cope. Never heard of Arc-on but these seem good quality. Good feel through the Kangaroo palm and venting is good too. Only caveat, bit too long in the thumb for me but the fingers are fine. 9 cm hand width so got Large. Price point was cheaper than all competition for the level of protection as well. Being kangaroo gloves they are naturally a little more giving in dexterity. Great if you have a superbike with rider modes you want to change or tweak on the move with gloves on. Great protection to a good level, of course there is always other tweaks Arc-on could add in the future to the glove. Just what the hubby wanted, extremely soft and comfortable. 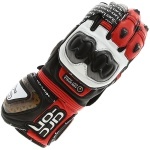 Great quality gloves with lots of protection. Comfy straight out of the box and sizing is spot on. Lining inside means they'll be warm enough to wear on colder days too. Soft is an understatement! Never considered Arc-On before (or heard of them to be honest), but thought I'd give them a try after watching the 44Teeth vids via the 'YouTube'. The palm leather glides over your hand and the usual feeling of thinking these are going to take a while to break is immediately banished. Protection looks sturdy, velcro is robust. Great gloves! Great pair of gloves. Fit perfectly and really comfy. Really good quality and my favourite new bit of kit. Highly recommend. After only 2 days ridding the stitching on the fingers broke and the leather came away leaving my fingers exposed. 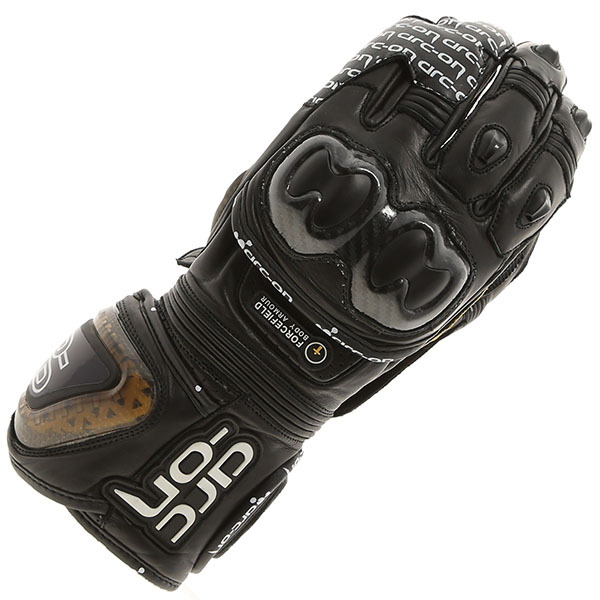 The quality of the leather and the feel is superb but the construction let's the hole glove down. AVOID! I'd never considered Arc-on before. Always opting for the mainstream brands like Alpinestars and Revit. However, I thought I'd give these a shot after trying on various others and boy do I not regret it! The fit is utterly perfect. Finger length, palm shape and size, curvature. All brilliant. Lovely palm leather gives great tactile feel and the armour is very high quality and in all the right places. There's not too much venting so I can where them right into Autumn as well. Add to this Arc-on are British and the armour is made by another British company, Forcefield, they are a winner all round. Don't think I'll buy another brand of racing glove ever again.